UPDATE: The exhibit will be on display through May 2019. (SAN ANTONIO) – San Antonio’s first brewery owner William Menger started making beer in 1855 next to the Alamo, where the hotel bearing his name now stands. Famous industrialist Howard Hughes once owned the biggest brewery in Houston. The Spoetzl Brewery started making Shiner beer in 1909. These are but a few of the dozens of stories about beer in Texas. The beloved beverage takes center stage in Brewing up Texas, opening Oct. 21 at the UTSA Institute of Texan Cultures. Guest-curated by longtime journalist and beer writer Travis E. Poling, the exhibit reaches back nearly two centuries to find the beverage’s arrival in Texas. It chronicles early brewers and breweries, the impact of prohibition and its repeal, economics and industry facts, the social implications of alcohol consumption, and other topics detailing this favorite drink’s place in Texas culture. Texas beer has a long history, with popular breweries such as Pearl, Lone Star, and Spoetzl. Houston is home to one of beer giant Budweiser’s 12 breweries. More recently, craft brewers such as Saint Arnold, Alamo Beer Company, and Real Ale Brewing Company have emerged on the Texas scene. Brewing up Texas studies several aspects of beer’s impact and the industry surrounding it: brewing processes; technology; and advertising ephemera such as signs, creative messaging and props. On six video banks, today’s Texas brewers show off their breweries and tell their stories of how they got into the brewing business. Historic photos will show memorable Texas saloons, ice houses, bier gartens and more. Other sections cover prohibition, its repeal, and other social implications such as responsible drinking. 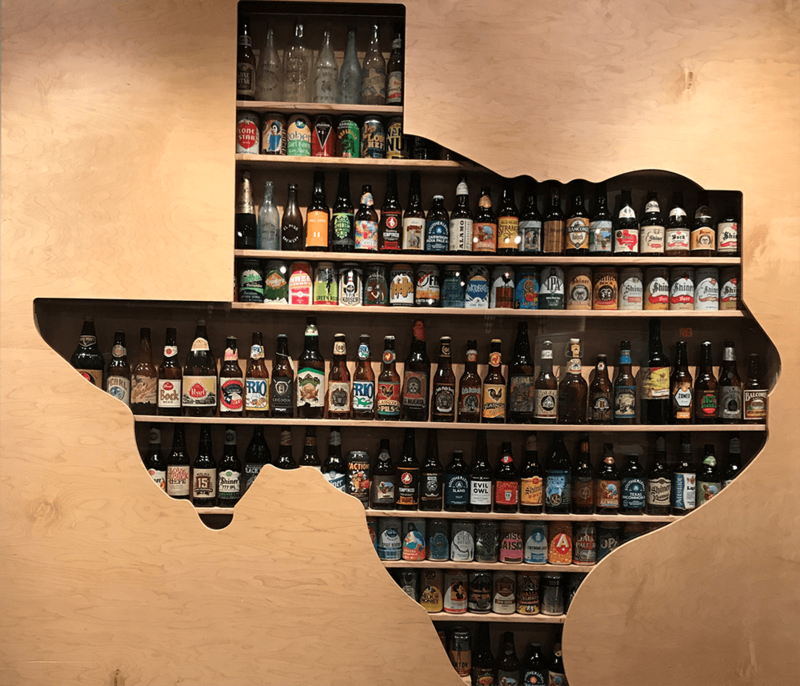 Brewing Up Texas will remain on display through Oct. 28, 2018, and the institute anticipates quarterly events, such as tastings, lectures and homebrew classes. Details will be posted at TexanCultures.com and through the institute’s social media channels.